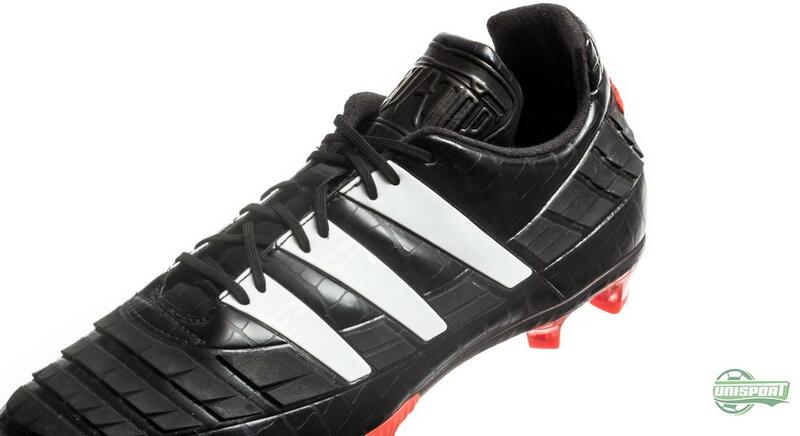 20 years ago, the way we see football boots changed forever, with the introduction of the first adidas Predator football boot. 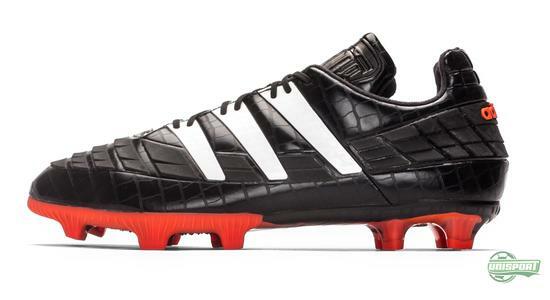 Now adidas honour their iconic Predator with remakes for three of the most popular models in the so-called Revenge Pack, with all of them being limited editions. 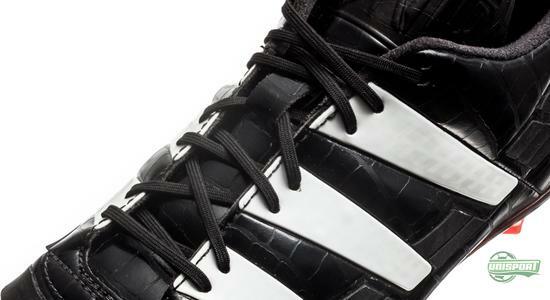 The first celebrates the boot that started it all, adidas Predator 1994. Adidas have with the launch of the Predator Instinct really got the celebration of one of the most iconic boots in history of to a flying start. 20 years and 14 models later – in 2014 (The numerical symbolism couldn’t be better) adidas have launched the first of three tribute boots. 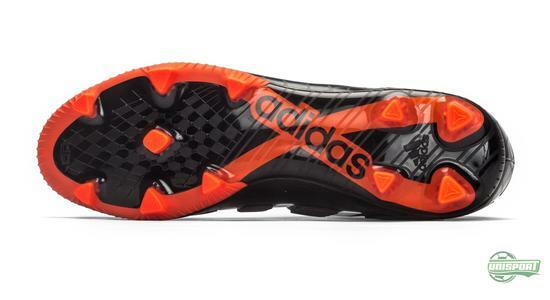 The first celebrates the Predator that started it all, the adidas Predator from 1994. The concept is named the Revenge Pack and brings back the three most iconic Predator design, based on the Predator Instinct’s modern technologies. The first Predator really rattled preconceived notions of how boots should be made and went a completely different way than people were used to. 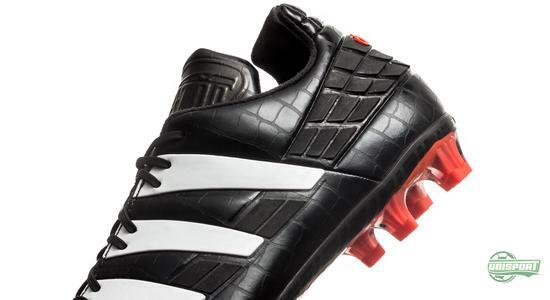 It gave players the chance to get more power and swerve on their strikes – and the redesign is gold for people who knew the old boots. 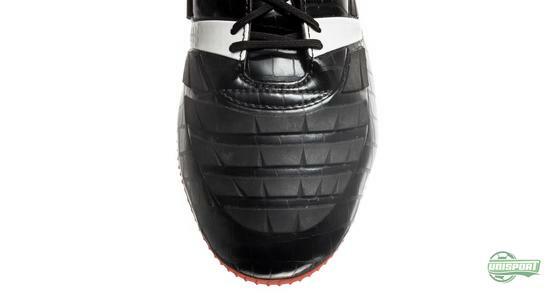 The introduction of swerve-elements was the biggest innovation, since Adi Dassler introduced screw-on studs. 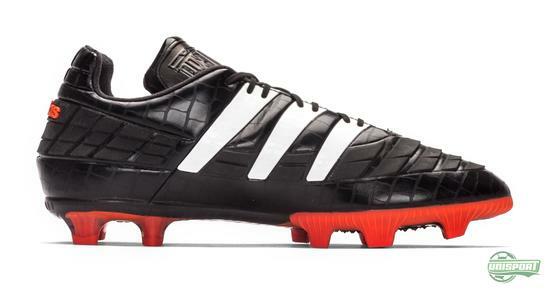 Adidas have therefore been through the design sketches again and made a tribute boot that looks incredibly like the original from 1994. For fans of the Predator of the Predator, this boot will really get you excited, with the return of the iconic rubber elements on the front foot, the padded tongue and crocodile texture. There are however some important differences that separate the 2014-version of adidas’ Predator, from the 1994-version. The upper is made of Hybridtouch, which is adidas’ leather emulating synthetic that has many of the great features from leather, like awesome suppleness and excellent comfort. At the same time the synthetic makes them more durable, lighter and less water absorbing. Most important is however the Predator-fins on the nose of the boot. They were developed by the Australian Craigh Johnston, who during a training session with kids had the idea of placing these rubber elements on the nose of the boot, both to add power and grip on the ball. 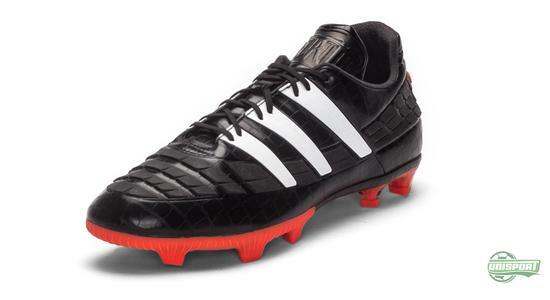 Adidas quickly picked up on the idea and revolutionised the way football boots were made. 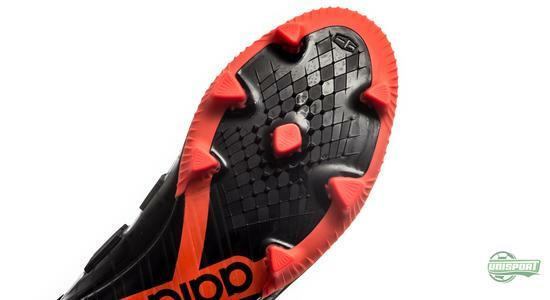 These swerve elements on the nose of the adidas Predator 2014 are also very similar to the ones on the original. They aren’t quite as aggressive, but both the angle and shape of the individual bumps are spot on. The heel and medial side of the boot are also perfect and the look really fits the 1994 version. 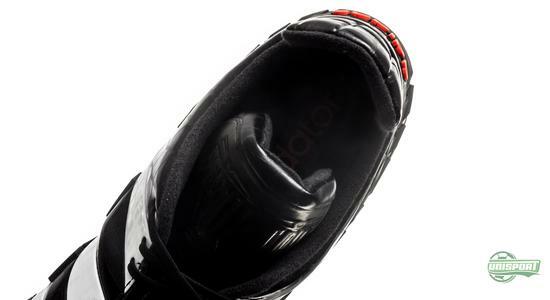 The same goes for the red ‘adidas-writing’ on the heel, as well as the red torsion bars that move in a number-eight shape. 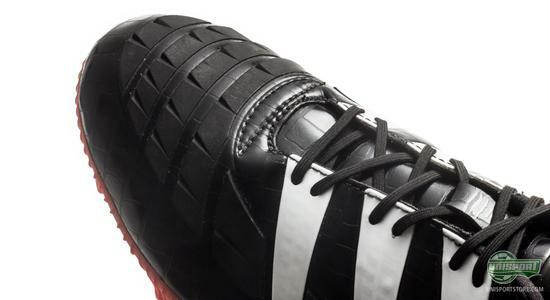 The sole is however adidas’ ControlFrame, which is made to optimise grip on the ball, when using the sole to control it, – which is actually 10% of your touches on the ball. And the ControlFrame is a good example of the modernisation that has come the way of the Predator in the last 20 years. The 2014-version is not just a reproduction; it is made, so it is just as functional today. 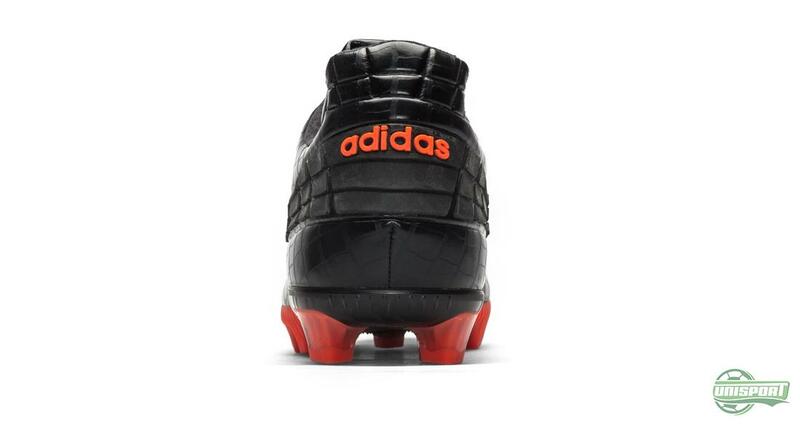 With an upper of Hybridtouch and the Predator elements of SL rubber this boot is definitely still a force to be reckoned with. 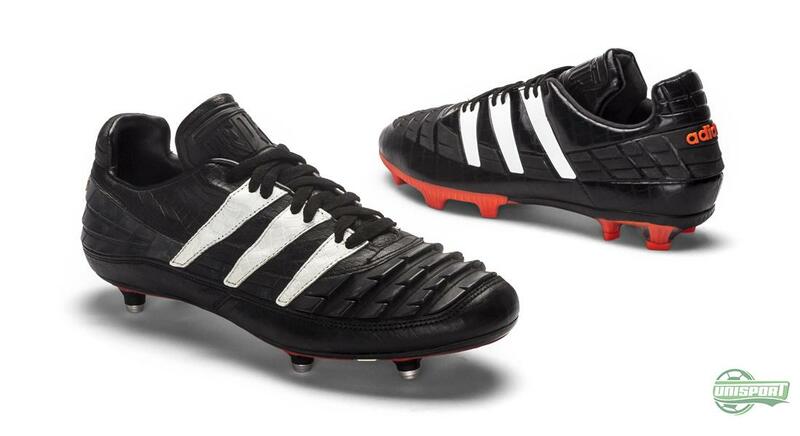 Despite the small differences adidas start their tributes really, really, really well, with the Revenge Pack, which will also feature the Predator Accelerator from 1998 and the Predator Mania from 2002. The models will be very limited edition, so you have to be very quick to secure your pair, or they will slip through your fingers. How so? 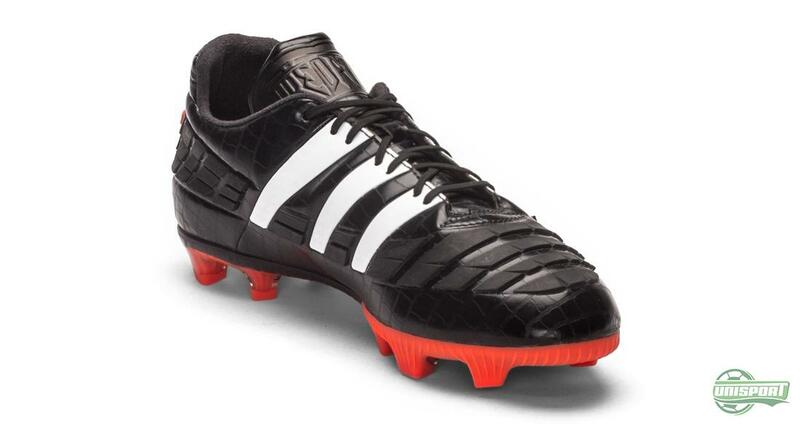 What do you think about the redesigned adidas Predator 1994? Have adidas nailed it and is this a boot you would consider getting a hold of? Share your thoughts with us in the box down below.